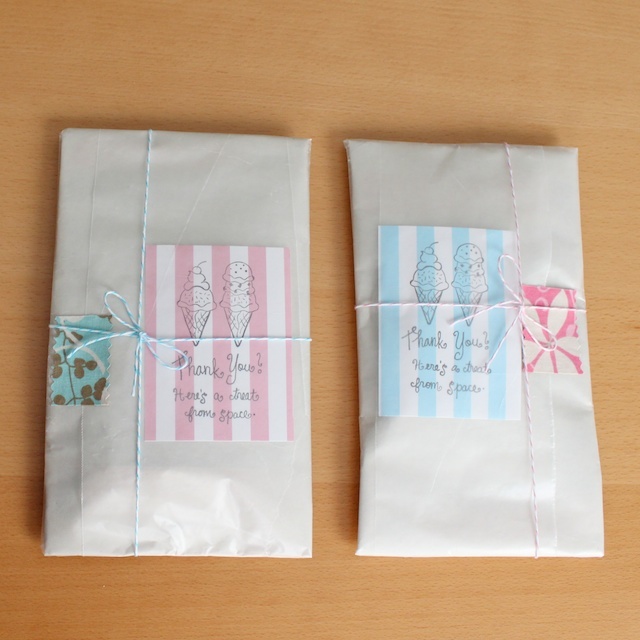 I mentioned last Friday’s post on party tips that I like to give out useful and fun party favors. 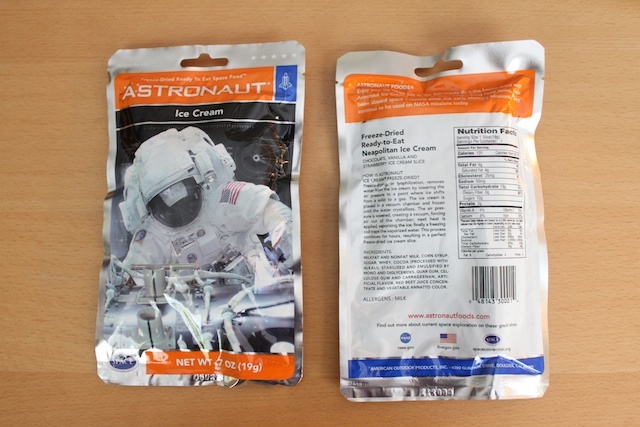 To go with the ice cream party theme, I ordered astronaut ice cream online for the kids to take home and enjoy. It was the only ice cream they could take home without it melting on the way. It was a big hit… both with the parents and children. The parents thought it was so cool that they wanted to keep it for themselves. 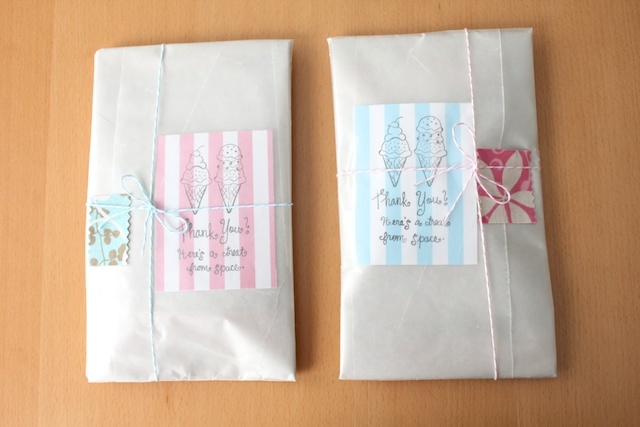 I packaged it nicely and matching to the ice cream theme and colors. If you make packages like this inspired by Simply Modern Mom, please upload pictures of it in our Flickr group to show it off to everyone. You may be featured on Simply Modern Mom. 1. Make your own thank you cards to match the theme. 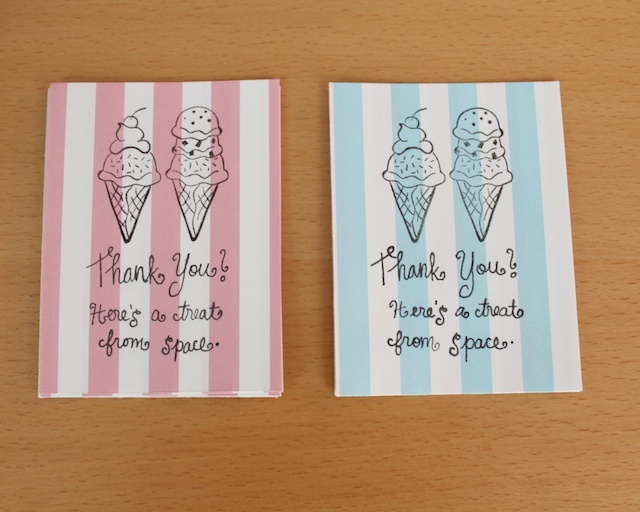 I used striped paper from the ice cream banner, ice cream stamp and calligraphy the thank you note. 2. 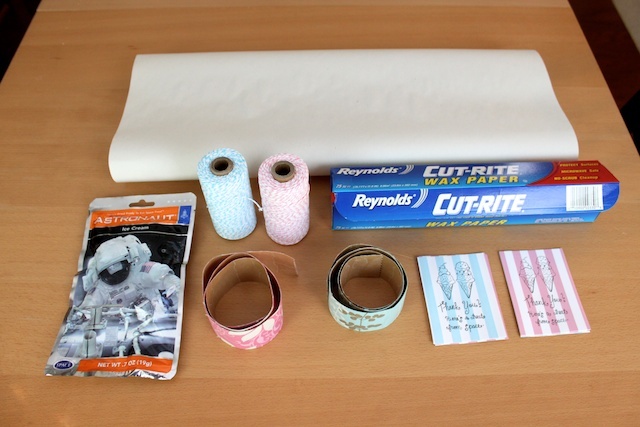 Wrap the astronaut ice cream in wrapping paper. Tape edges in place with clear tape. 3. 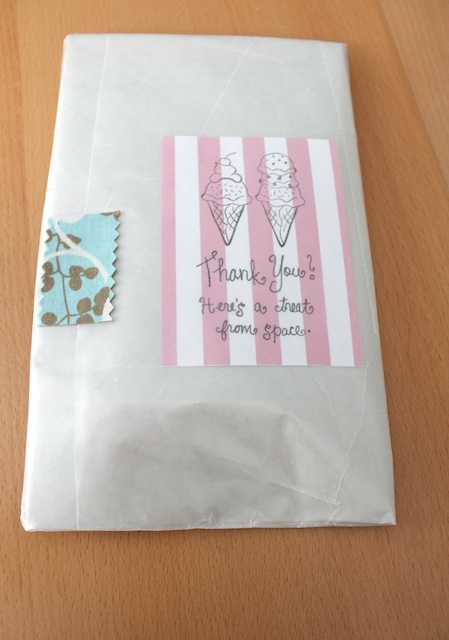 Then wrap with wax paper but slide the thank you card in between the opening flap at the front of the package. 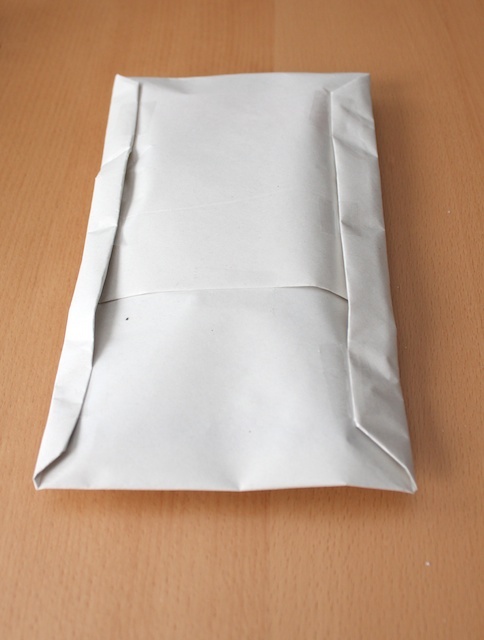 Tape the flaps on the back with clear tape and the front with fabric tape. 4. Wrap and tie bakers twine around it. And done! » Tell me… What do you like to give as party favors? And how do you package it? Those are too cute! I keep eying your fabric tape. I love that for a favor! Great idea!